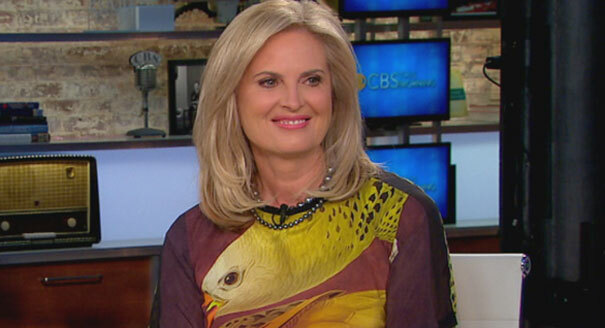 Ann Romney: Was Marie Antoinette Ever Sent Out to ‘Humanize’ Louis XVI? “Mitt Doesn’t Disdain the Poor.” That was the title of a video the Romney campaign is reported to have uploaded and then deleted from their youtube account. Add that one to your Best Campaign Slogans of 2012. Apparently the deleted video featured a clip from an interview Ann Romney with a Fox affiliate in Denver, where la Reina was trotted out to play a little defense and explain that, once again, her husband is being misunderstood. You can see the full video of the interview here. Come on, you 47 percenters, stop mooching enough to realize he’s not doing this for the money! He rolls around in cash! (When he makes it to the Cayman Islands to visit it, of course). This is, or course, familiar territory for Reina Romney. At the GOP convention in Tampa she painted a vivid picture of a time when she and Mitt once lived in a basement and ate out of cans of tuna and only made ends meet by selling stocks. Just like Joe Sixpack would do. Seeing that didn’t work, the Humanizer in Chief later took back the whole Tuna Cans and Stocks fiction, admitting that “Mitt and I do recognize that we have not had a financial struggle in our lives.” She also informed us that el Rey was a victim in all of this: Her husband was being demonized! As the new cycle keeps churning out more stories and analysis of the 47% worldview, I’m sure we’ll be seeing a lot more of Reina Romney. Of course, it’s not just the elderly and indigent who “get away with” not paying income tax. “About 1 percent of the top 1 percent of income earners, those making about $533,000 or more, did not pay income taxes.” Of course, the elderly and indigent don’t pay because they don’t have enough money, the super rich for very different reasons. Guess which group Mitt has a problem with? And that is precisely the problem for Mitt and his attempts to brush this away. The 47% Conundrum is the mess that comes from imbibing too much Tea Party extremism, where you defend income and tax inequality at all costs. Taxes are bad for me, not for thee. I think that’s a lamprey on her shirt.